Previous PostAlmost Time For A Picnic On Cape Cod!Next PostSolitude On Nauset Beach In Orleans On Cape Cod. Priceless for sure…or maybe BIG PRICE! Phil conquered the squirrels; this looks like an even bigger challenge! 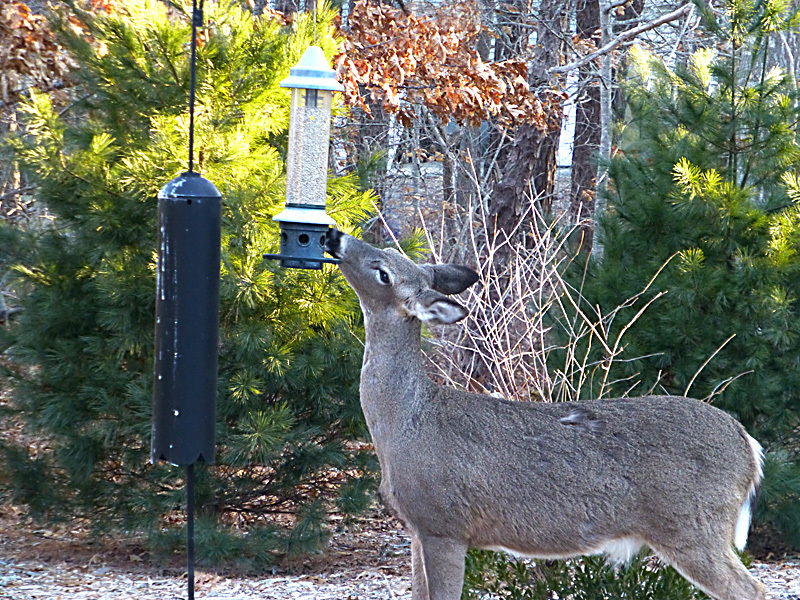 Wow….those deer sure are pretty and apparently, pretty hungry as well! 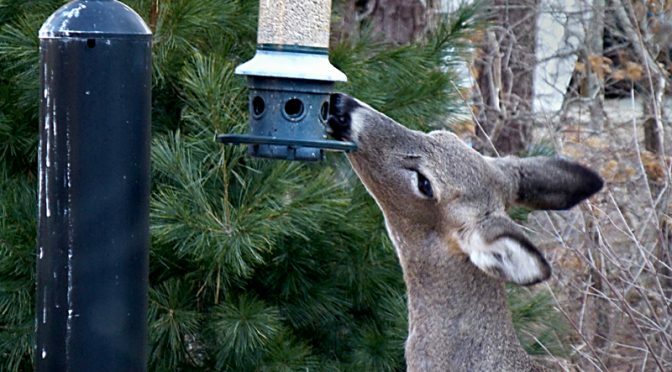 Hope the birds don’t mind sharing!